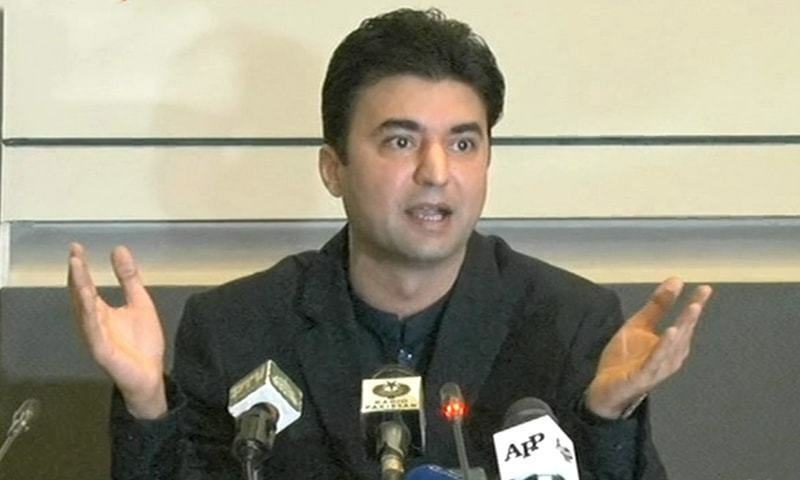 Minister of Communications Murad Saeed on Friday vowed that corruption in mega infrastructure projects all over the country will be unearthed and the looted amount will be recovered. Addressing the media in Islamabad, Saeed alleged that the PML-N led-government had signed a Memorandum of Understanding for the construction of the Multan-Sukkur Motorway worth Rs259 billion. "Later, the cost was increased up to Rs292 billion due to financial mismanagement and thus the project suffered a huge loss," state broadcaster Radio Pakistan quoted Saeed as saying. "The contracts of the projects were awarded to companies of their [the PML-N's] choice, causing losses worth billions to the nation," Saeed said. "Ahsan Iqbal, Javed Sadiq and the Sharif brothers are involved in this project," the minister alleged. "Indiscriminate accountability will bring back money looted from the nation," Saeed said while adding that the government will continue "transparent and indiscriminate accountability". "We will soon uncover corruption in the Pakistan Peoples Party-led government [as well]," he said. "I will soon put forward the details of how money was transferred to Larkana in PPP's time," Saeed said, adding that Imran Khan's promise of rooting out corruption will come to fruition. "We have big dreams, we will put the corrupt elements behind bars," the minister concluded. The big news would be to identify any project that is free from the corrupt practices. I suggest, not to declare corrupt any old governance before delivering any maga project of infrastructure. In capabilities and speaking power is in all over the world. We need to focus on current affairs of low revenues and avoidance on revenue losses in Govt. organizations. Every day. Such statement is delivered by every one in PTI. Then what happens? And What has happened? Answer is nothing.Moreiver those looters in fact get more courage as they don't care for such threats as government is not that bold but only talker. How convenient to allege. Minister; favourite of the PM installed, should file a reference, yet another, rather than repeating allegations now and then. We are fed up of this immaturity. Mr. Minister, do some thing practical instead of blame game. PML (N) is/ was corrupt. This you have been saying for more than one decade. PPP was also corrupt. This does not give food to hungry man, does not give shelter to homeless, does not give patient medical treatment, does not give jobless a job. How you are different from them? You also have MNA's and MPA's who are turn coat. The only thing that is different from you and other parties is that you have come to power first time. You have no previous bagge.Making speeches in loud voice does not mean you are wise and best ruler. For the sake of Pakistan we wish good luck to PTI. So what are you waiting for? You are in the government catch all culprits with immediate orders. You are no more on containers. Please put your dreams into reality immediately and make your plans converted into tangible actions without wasting any more time because almost six months have passed since you came to power in the "Land of the Pure" and instead of effecting a real change, you are still beating about the bush and merely pursuing status quo. What about Peshawar Rapid bus service. Its amount is increased by 20 billion and no signs of completion! What about corruption in KP. Rookie Ministers like Murad Saeed should be asked to shut up. @optimist- I agree, show your performance. Instead bad mouthing previous government's projects without any proof. Ask FIA and NAB, book Fake Professor Ehsan Iqbal, we heard some of his accounts are in Germany. Only metro Peshawar is without corruption ? Any one involved in the past in corruption will be pardoned if he joins the new band wagon leading the race. Are you the same guy who was saying that 200 billion will come to Pakistan the day IK takes oath as prime minister? We all know this, that's why we voted you. Now you show us your performance and by the way when hiring for one corore jobs will be started, we are waiting for the announcement. They will complete 5 years in blame game like they did in KPK in their first tenure. They have full power but still want to behave like opposition. I am losing hope. What about the Peshawar metro? No doubt all infrastructure projects conducted by pmln are tainted with mega corruption as it's a culture of our leaders. Hope govt makes concerted and consistent strides in hunting down every criminal and punishing them accordingly. Very dangerous PTI, come to power attracting eyes through anti corruption to avoiding people to see their government failure, PTI suspects everything and does not care about the country. What a sad. Who make it to power is no responsible for Pakistan. History will prove ! Serious charges. Thorough, unbiased and impartial investigation must be done to put the culprits behind the bars.